The remains of the former Inspector-General of Police and Chairman, Arewa Consultative Forum (ACF), Alhaji Ibrahim Coomassie were buried in Rimin-Badawa cemetery, Katsina on Friday. The funeral prayer which took place at about 2.06 p.m shortly after Juma’at service, was led by Sheikh Samu Adam, the Chief Imam of Bin Coomassie Juma’at Mosque, Katsina, with many sympathisers, associates, friends and well wishers in attendance. Dignitaries, who participated in the funeral prayer include: the Emirs of Daura and Katsina, Alhaji Umar Faruq and Alhaji Abdulmumini Kabir Usman,the Minister of Interior and retired Lt.-Gen. Abdurrahman Dambazau. The Inspector-General of Police Alhaji Ibrahim Idris and a prominent businessman Alhaji Samaila Isa Funtua also witnessed the occasion. He urged Muslims to always fear Allah by obeying His injunctions and be prepared for death at anytime. 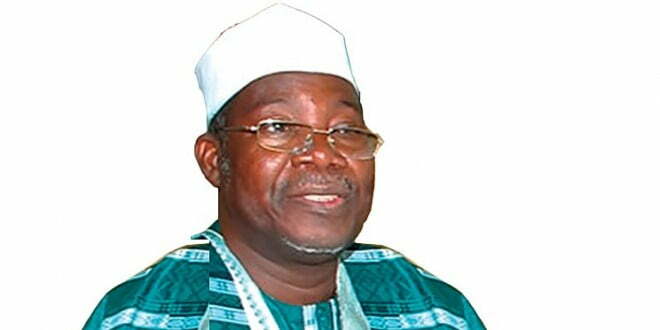 Coomassie died on Thursday aged 76 at Amadi Rimi Orthopaedic Hospital, Katsina. The deceased served as the Inspector-General of Police between 1993 and 1999. He also held several other positions, which include, Police Commissioner in Kano State among other positions in the office. Born on March 18, 1942, the late Coomassie had his education within and outside Nigeria, including the Detective Training College, Wakefield, United Kingdom and Washington DC in the United States. Coomassie was in February 2014 elected the Chairman of the Arewa Consultative Forum (ACF), the position he held until his death.